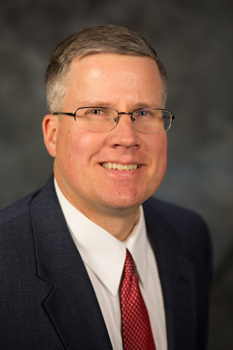 Brent B. Moritz is an Associate Professor of Supply Chain Management. Brent earned his PhD from the Operations and Management Science Department of the Carlson School of Management at the University of Minnesota. He also holds a BS in Mechanical Engineering from Valparaiso University and an MBA (concentrations in Finance and Entrepreneurship) from the Weatherhead School of Management at Case Western Reserve University. Prior to obtaining his PhD, Brent held positions in operations and supply chain management at BorgWarner, Eaton and Parker Hannifin. This also included international experience working in Mexico, England and Germany. Analysis of strategic procurement in the supply chain. Strategic design and management of supply chains. Quiroga B., Moritz B. B., Ovchinnikov A., "Behavioral Ordering, Competition and Profits: An Experimental Investigation." Production and Operations Management, 2019, pp. 33 pp. The Handbook of Behavioral Operations Management. Ovchinnikov A., Moritz B. B., Quiroga B., "How to Compete Against a Behavioral Newsvendor." Production and Operations Management, vol. 24, no. 11, 2015, pp. 1783-1793, onlinelibrary.wiley.com/doi/10.1111/poms.12361/abstract. Bansal S., Moritz B. B., "Perceived Versus Actual Value of Substitution: An Experimental Investigation." Journal of Operations Management, vol. 38, 2015, pp. 56-70, www.sciencedirect.com/science/article/pii/S0272696315300061. Narayanan A., Moritz B. B., "Decision Making and Cognition in Multi-Echelon Supply Chains: An Experimental Study." Production and Operations Management, vol. 24, no. 8, 2015, pp. 1216-1234, onlinelibrary.wiley.com/doi/10.1111/poms.12343/abstract. Moritz B. B., Siemsen E., Kremer M., "Judgmental Forecasting: Cognitive Reflection and Decision Speed." Production and Operations Management, vol. 23, no. 7, 2014, pp. 1146-1160, onlinelibrary.wiley.com/doi/10.1111/poms.12105/full. Moritz B. B., Hill A. V., Donohue K., "Individual Differences in the Newsvendor Problem: Behavior and Cognitive Reflection." Journal of Operations Management, vol. 31, 2013, pp. 72-85, www.sciencedirect.com/science/article/pii/S027269631200085X. Kremer M., Moritz B. B., Siemsen E., "Demand Forecasting Behavior: System Neglect and Change Detection." Management Science, vol. 57, no. 10, 2011, pp. 1827-1843, pubsonline.informs.org/doi/abs/10.1287/mnsc.1110.1382. Reviewer since 2013, Associate Editor since 2017.